Taking place annually in July since 1993, Goodwood Festival once again hosted colourful scenes. 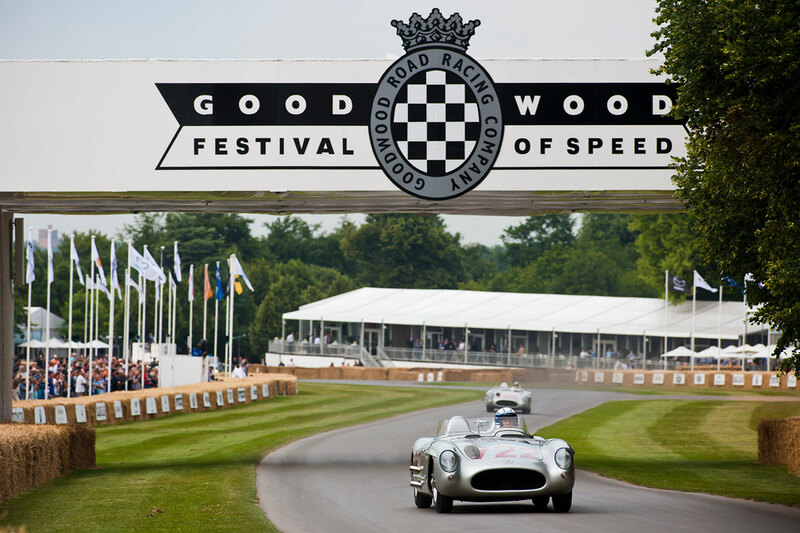 Located in England and considered to be one of the most prestigious automotive and motor sports events, Goodwood Festival of Speed offered unforgettable moments to its audience. One of the most hyped-about highlights at the festival is the selection of the car which will carry the traditional sculpture. This year the important mission was granted to Porsche 356 as it celebrated its 70th anniversary. Held between July 12th and 15th for three days, the main theme for this year was the 25th anniversary of the festival. As race cars and classical beauties showed up for the event, new favorites of autonomous and electric cars were also present. Located in West Sussex in the South of England, the festival is an hour and 45 minutes drive away from London. Alternatively, visitors can take the train to get there. The grounds of the festival have belonged to the Duke of Richmond for the last 300 years. The Goodwood House, which is signature of the location, is one of the most well-preserved historical buildings of the region. Hosting a massive organization like this, the Goodwood House is a breathtakingly mighty castle. An exploration vehicle developed by iSpace for the moon was one of the most sought-out attractions of the festival. Planning to build a base on the moon by 2021, this company is one of the most important names in the world when it comes to space technologies. Controlled with a tablet and boasting 360 degrees of maneuverability, it’s possible to locate and explore the base without leaving the Earth’s atmosphere with this exploration vehicle. Being a driverless vehicle, this car was another favorite of the Festival of Speed Future Lab. This autonomous car was certainly memorable as one of the favourites of the festival. Designed for personal use, this vehicle is determined to sweep drivers off their feet. JetPack Aviation, the American company that developed this car, took the innovation news by the storm with its jet engines that can reach 320 km/h. Demonstrations by professional drivers throughout the festival allowed the audience to experience breathtaking moments.